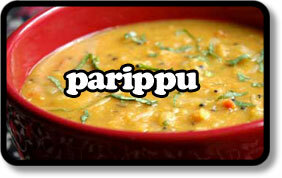 This is by far the easiest Indian dal to make. It’s great to have alsongside another curry, especially Lamb Madras or Goan Fish & Prawn Curry. There’s nothing to it really but it’s extremely satisfying to say the least. Put the lentils in a large pan with 2 cups of water, onions, tomato, coconut milk, chillies, turmeric and cumin and corriander powders and gently bring to the boil. Cook for about 25 minutes. The lentils will dissolve and lose their shape. If the sauce beomes too thick then add some more water (about 1/4 cup). Remove from the heat. To make the tarka, heat the vegetable in a small pan over a medium/low heat. Add the cumin and mustard seeds, cover and when they begin to pop, add the onions and curry leaves. Fry until the onion is golden brown. Pour the tarka into the dal and stir in. Turn on the heat and bring the dal to a simmer and cook for 5 minutes. Remove from heat, stir in the fresh coriander and check the dal for seasoning – adding more salt & pepper as you see fit. Serve together with another, more substantial curry dish and rice. Or as a lunchtime snack with chapati, paratha or naan.